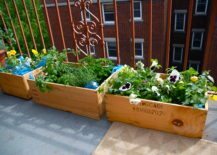 A balcony garden, once it’s fully blooming, can obscure much of your small outdoors. 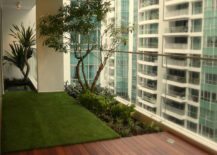 The shield created by greenery establishes a more intimate and secure space, giving you privacy among the big apartment complexes. 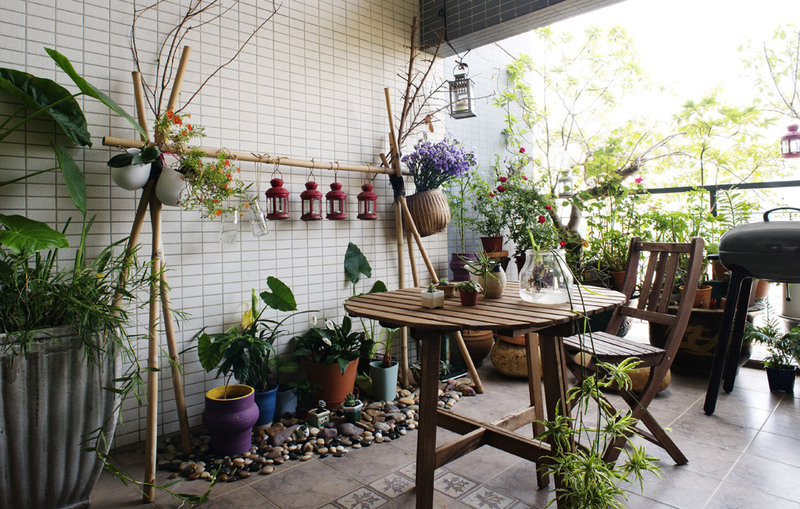 A Japanese styled balcony garden creates a sacred space within the small area, keeping things simple and stunningly unique. 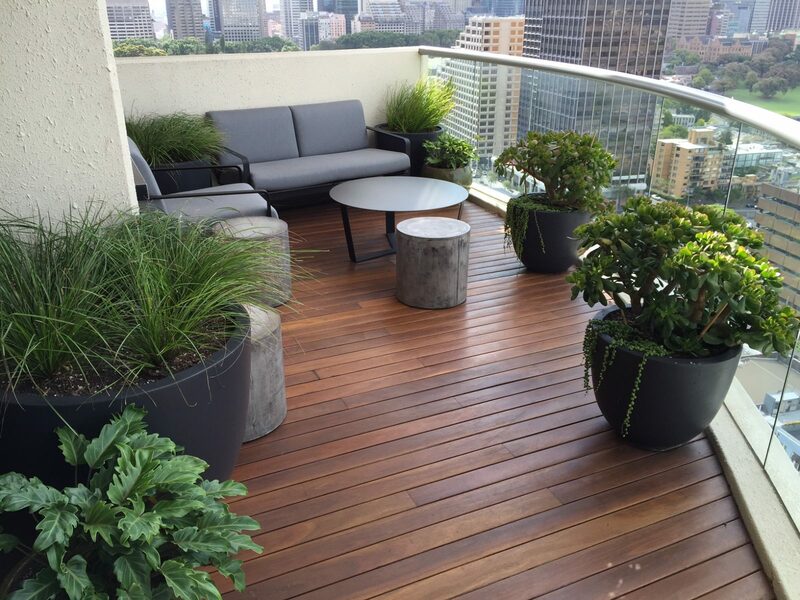 The plants have a thoughtful placement, keeping out of the way but leaving their impact on the space. 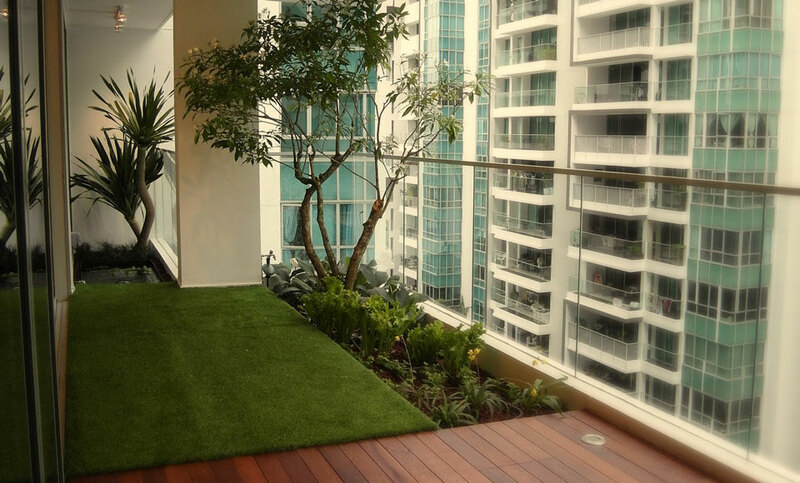 A minimalist balcony garden is a great addition to any modern apartment that wishes to feature a few natural elements as well. 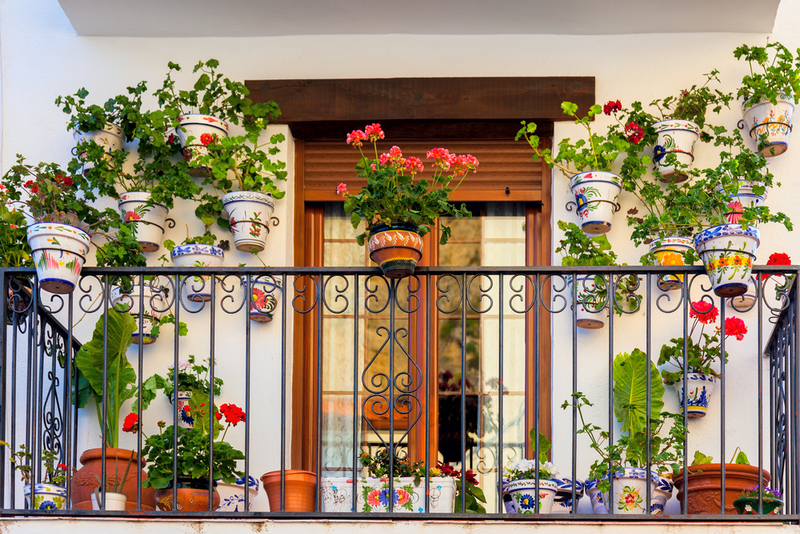 If you want to keep the space open and roomy, arrange the potted plants near the railing! 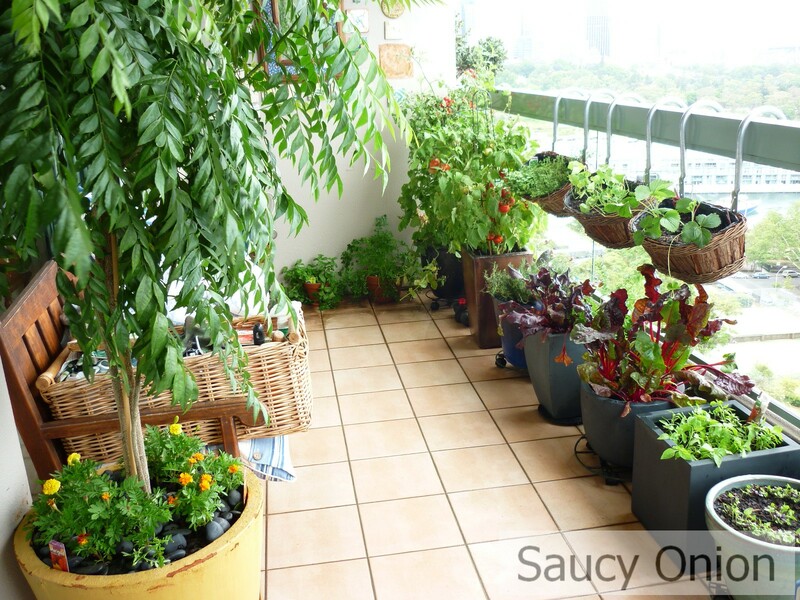 A balcony garden doesn’t necessarily mean that you can only have a small amount of plants. 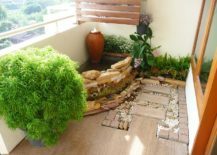 You can absolutely have an abundance of greens beautifying your tiny outdoor area! 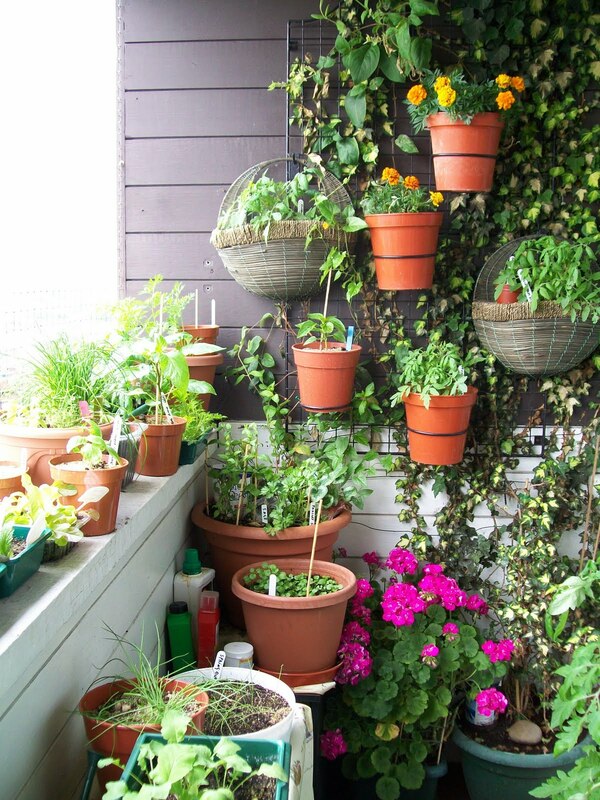 The trick is to make use of the vertical space by hanging some of the plants on the wall! 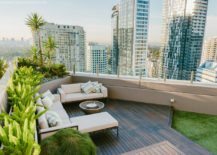 In metropolitan areas, where the gray buildings are taking over, stepping onto a vividly green balcony feels very refreshing! 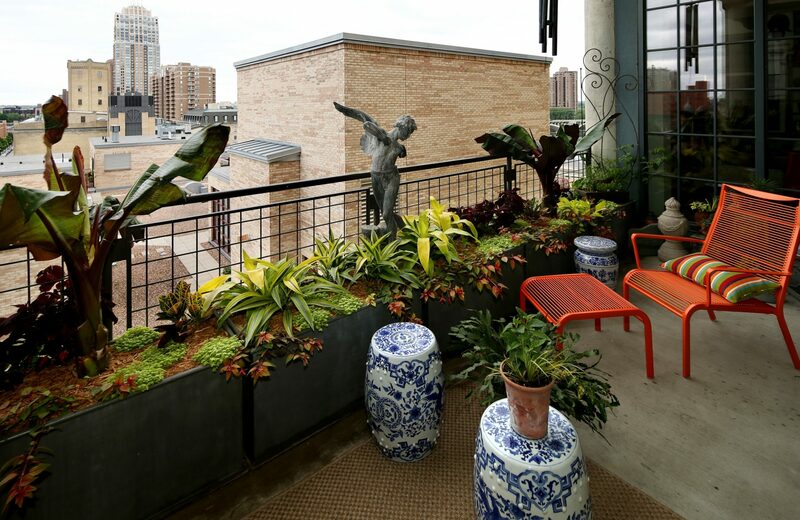 The more plants that are added to the balcony, the greater the contrast with the colors of the city. 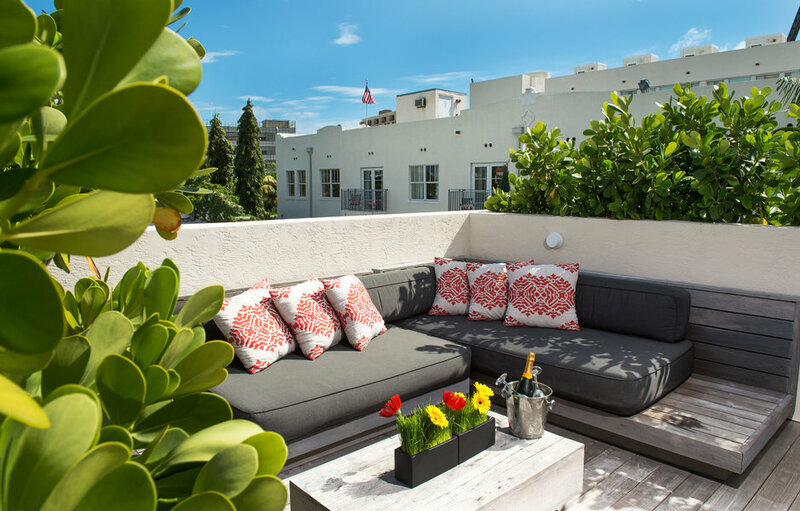 When we’re decorating a really small space it’s important to think outside the box and utilize every inch of room we can find. 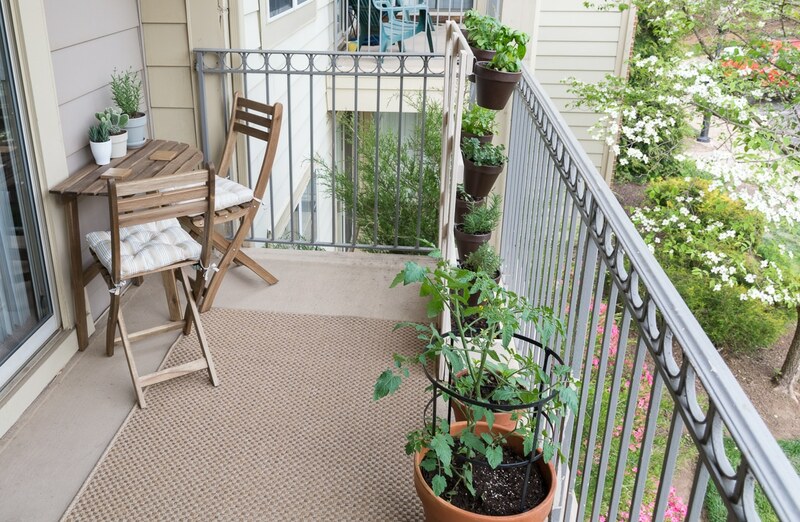 This urban balcony has a beautiful green garden that extends even beyond the railing! 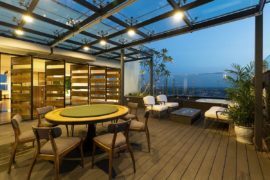 Green is a very cheerful color with a strong sense of familiarity. 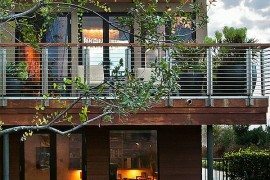 This is easily the consequence of it being a great representative of nature itself. 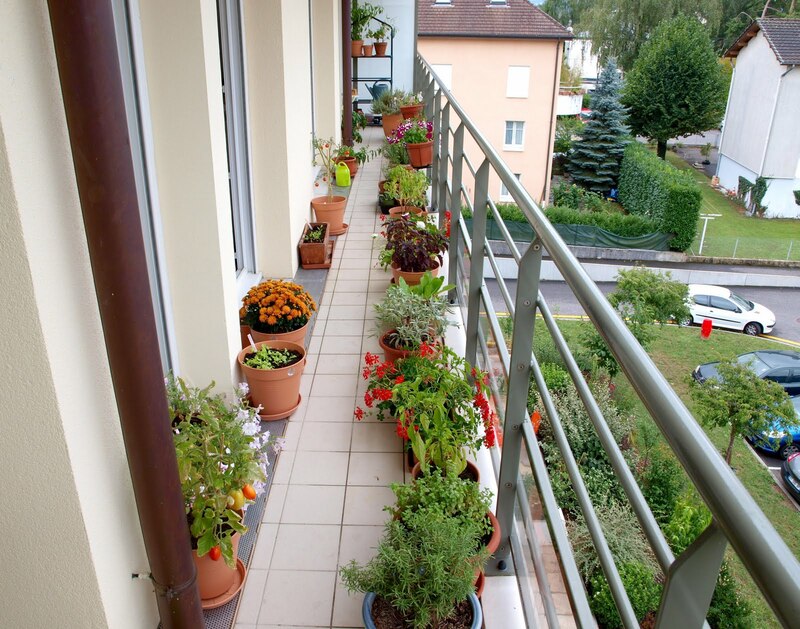 Having a variety of potted plants on the balcony will fill it with that recognizable charming green vibrancy! 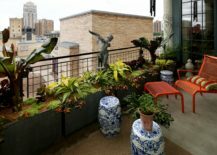 A balcony garden is not just a method of bringing nature into an urban area, it’s also a great way to create an oasis within the city, an organic sanctuary that provides you with peace and serenity without having to drive out of the city for it. 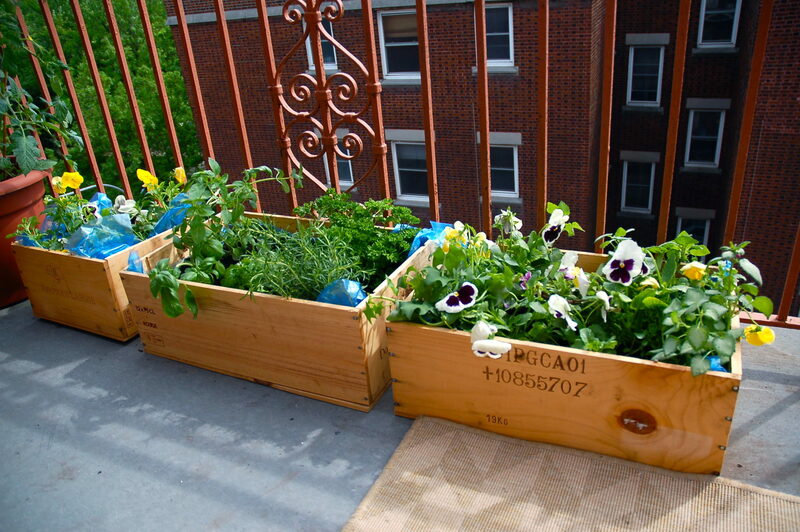 A simple way to create a blooming green balcony garden is to utilize wooden planter boxes! 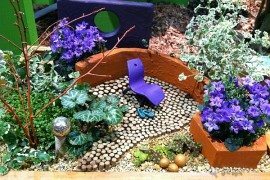 They are convenient and beautiful, don’t take up much space and have a very clean look! A large and elegant balcony overlooking the city can really benefit from having big bushy plants neatly placed all over it. 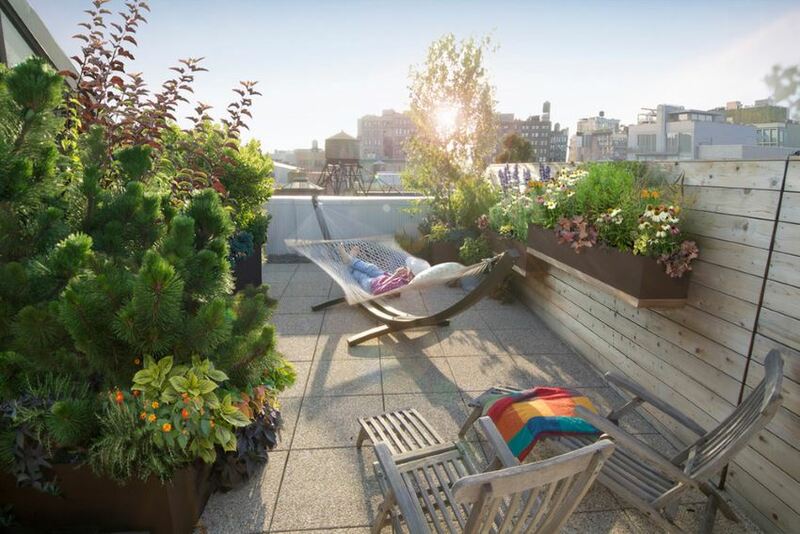 The merging of urban scenery and natural elements creates one of the most stunning balcony gardens! 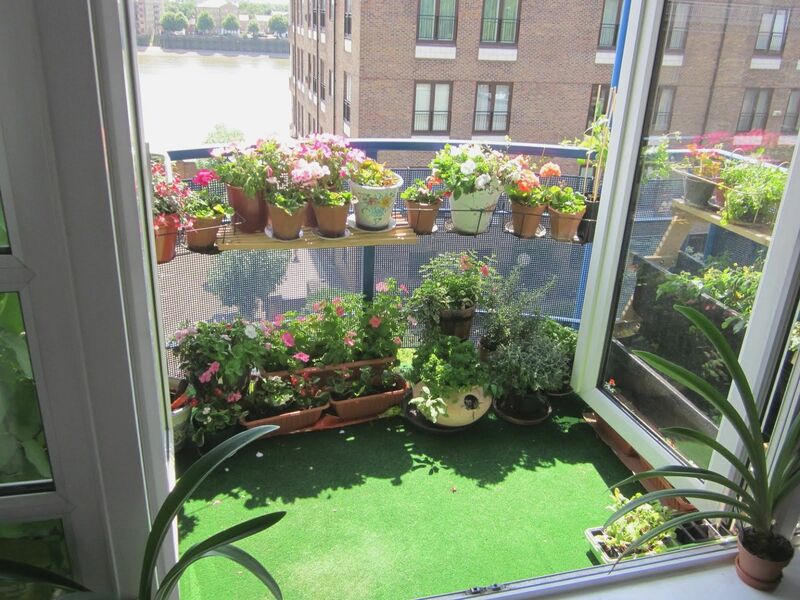 Perhaps the most modern way to set up a balcony garden is one where the plants are completely integrated in the space. 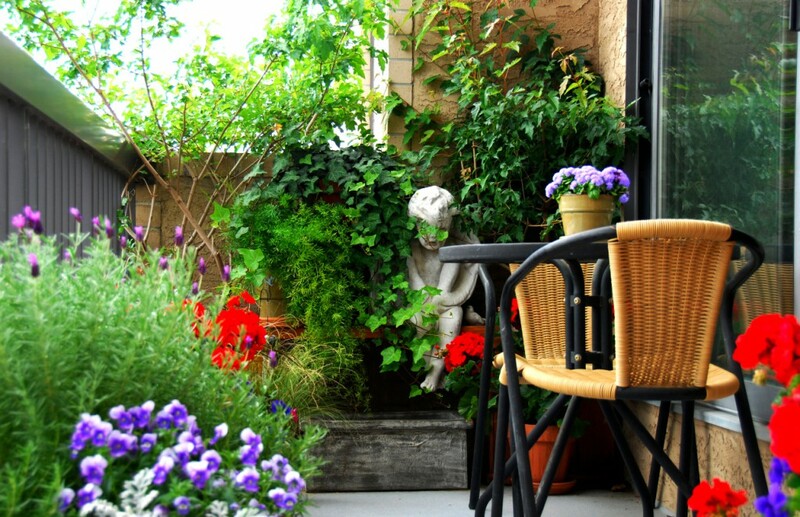 Every nook and cranny has a flash of green, transporting you away from the city’s hustle and bustle within seconds of stepping into the charming balcony garden! 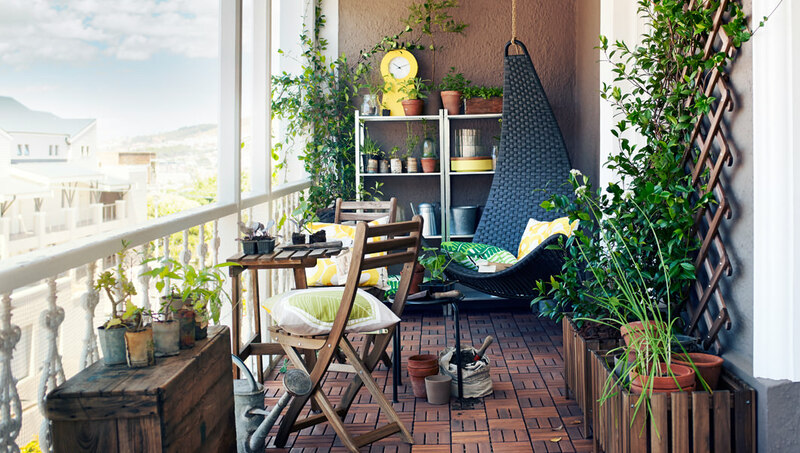 Place a tiny wooden table and a matching chair in the center of your balcony, then create the urban garden around it! 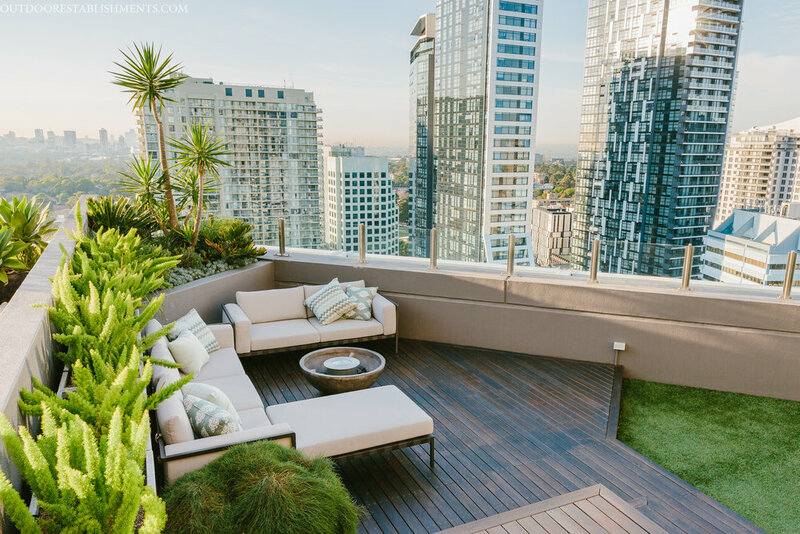 Such a natural and carefully curated space, with many elements that make the garden as authentic as any backyard, can almost make you forget that you are in the middle of the city! Some people mistakenly think that balcony gardens are disorganized and in a state of disarray. 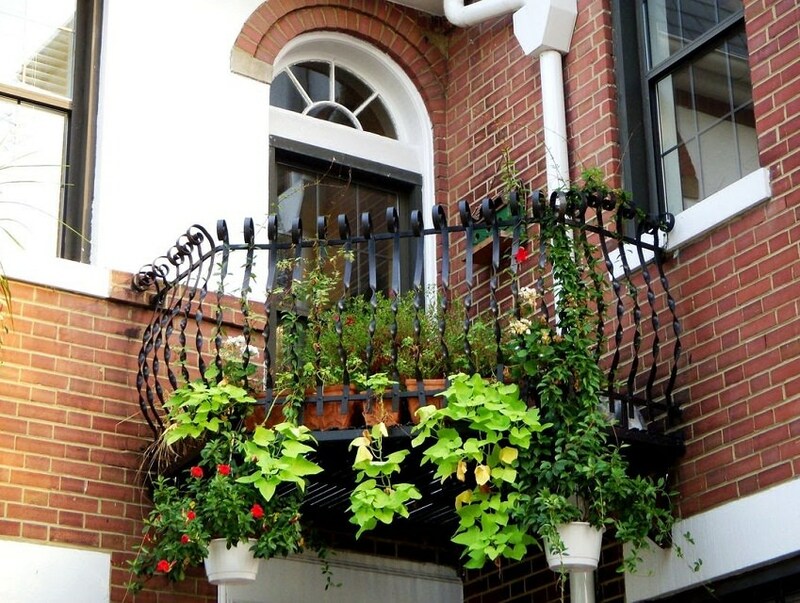 Let this beautiful balcony, whose garden radiates elegance and symmetry, be an example of a great practice! 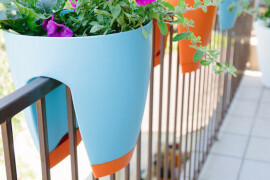 Even the greenest urban balconies can do with some color! 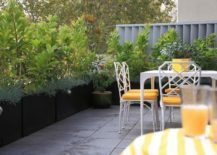 It doesn’t have to dominate the space, but it can make it seem even more alive! 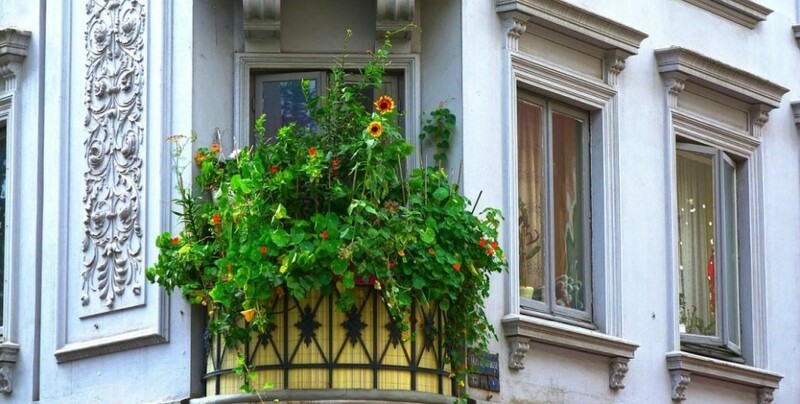 If you are seeking to create a colorful outdoor garden, match the blooming florals with uniquely decorated planters! 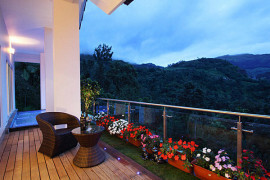 The plants can create a wall around the balcony, securing the space’s privacy and creating a cozy ambiance. 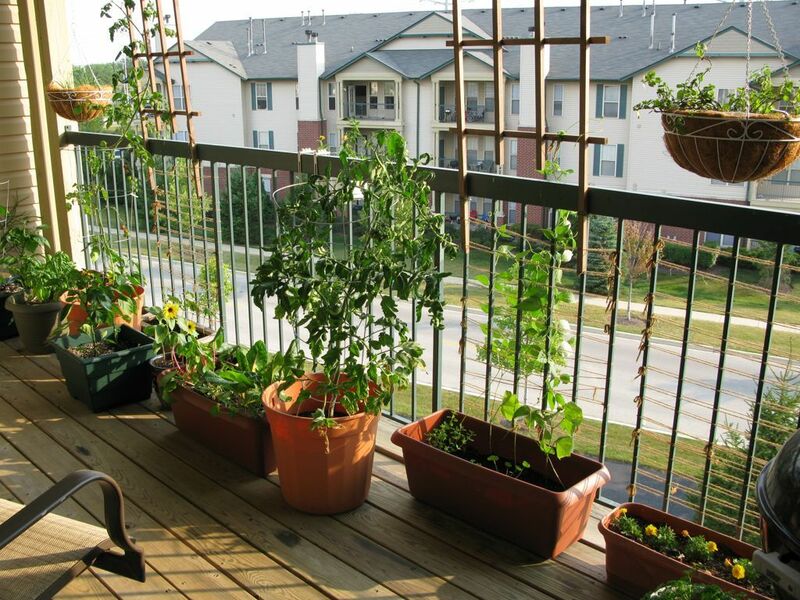 This way the balcony garden doesn’t only have a decorative purpose, but a functional one as well! 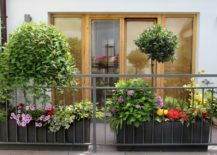 A narrow balcony may seem like a challenging space to turn into a garden, but the placement of the plants is everything! When they are placed near the wall and the railing, the space between turns into a really beautiful green corridor! 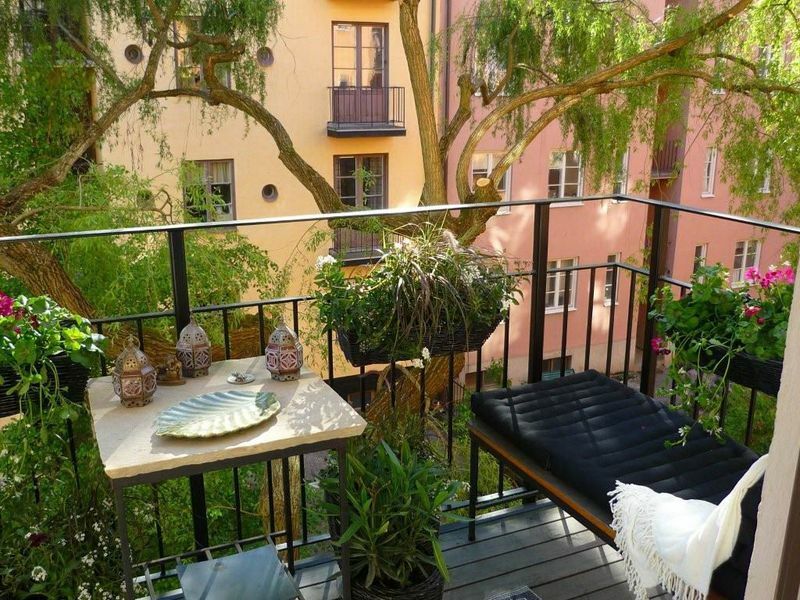 A tiny balcony is made noticeable by an incredible green garden that is almost completely hiding the balcony itself! 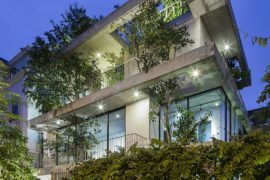 This is a really fresh and organic element that shakes up the street’s architecture and makes it appear more grounded. 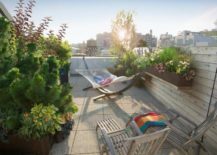 Within the busy city ambiance we can quickly start wishing for a peaceful space where we feel just a little detached from the gray pavements and the everyday frenzy. 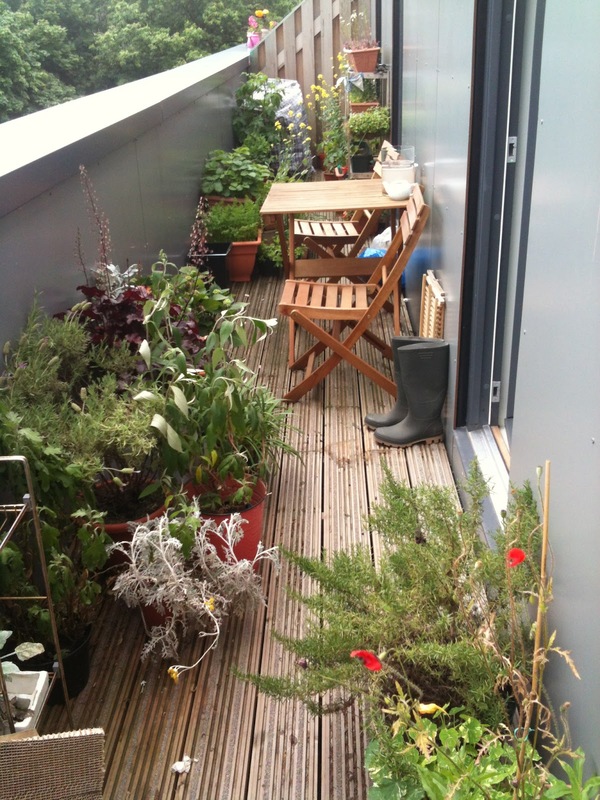 A tiny balcony garden is a great way to create a serene and natural space within an urban setting. 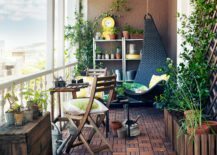 If you can’t get enough of green, you can add an extra green element to your urban balcony garden and enhance the power of the energetic color on your tiny outdoor space! 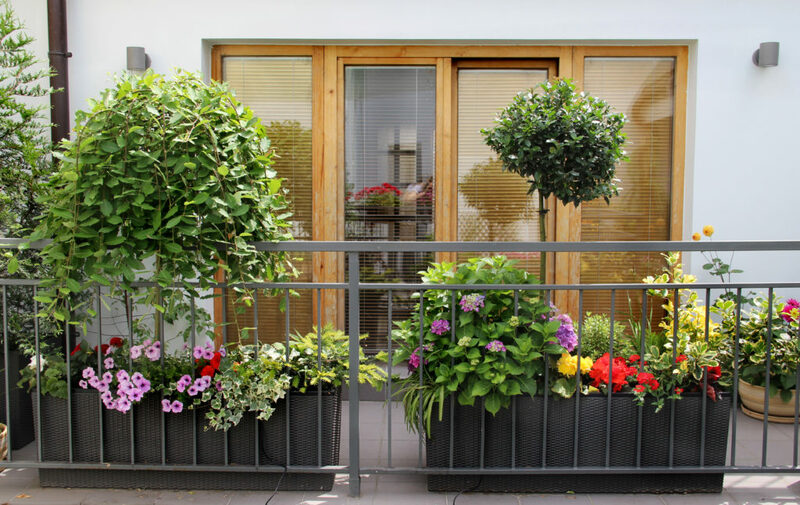 Here’s another narrow balcony, this one with a slightly more random placement of the planters, creating a raw and natural look, channeling the view one might have onto a real, wild backyard! 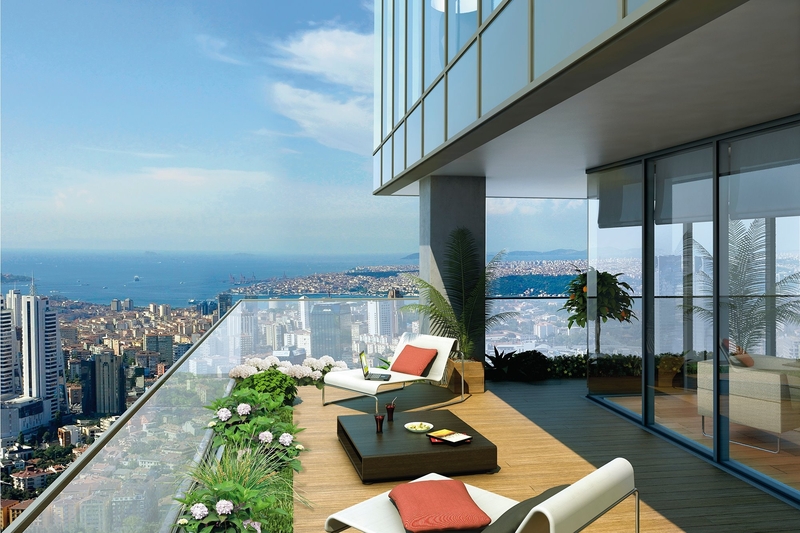 A modern balcony is a wonderful hangout place! 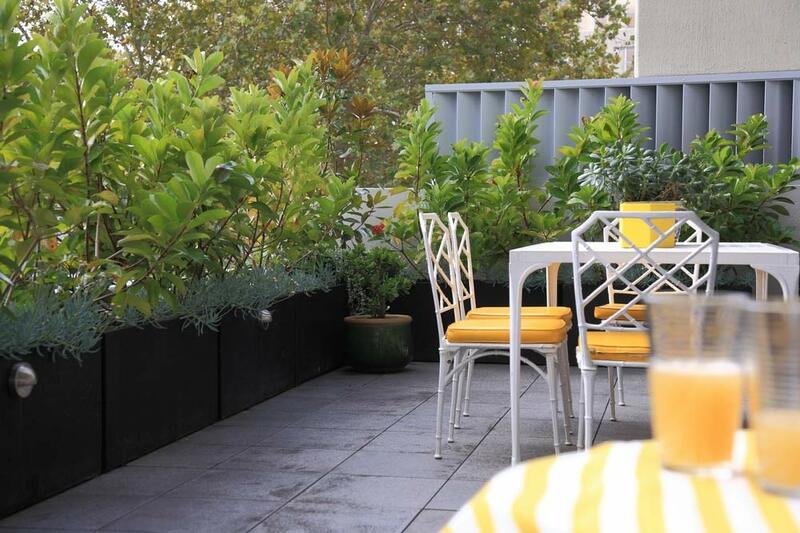 To keep the space elegant and tidy, create the garden with raised planters with a matte look. 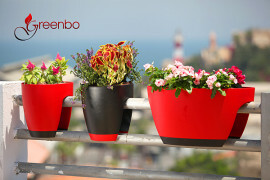 They are a sophisticated piece that will add to your cultivated balcony. 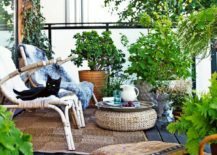 It’s hard to ignore the captivating green in any space, but if you want to enhance its charm even more, decorate the balcony in soft beige tones that will totally make that green garden pop! 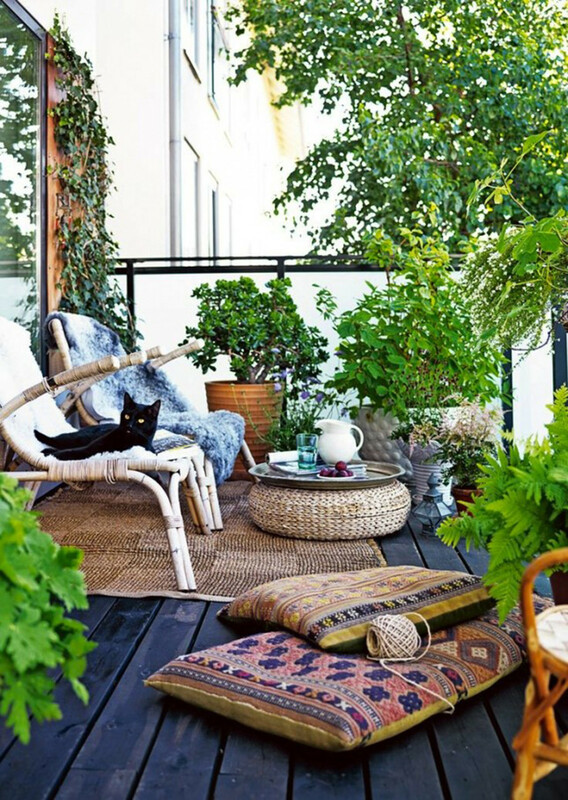 A mixture of plants hanging on the balcony railing and those set on the floor creates a balanced balcony garden that places all attention on the plants, but allows room for comfort as well! When you want to have a balcony garden but don’t want it to be in the way, place the plants near the edge of the balcony to create a trim around the outdoor area. 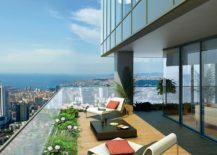 If they are planted into the floor it opens up the space even more, giving you a great view of the wonderful city below! 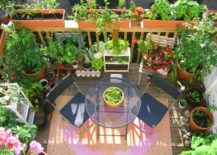 Somebody that swears by minimalism, and wishes to stay true to it even in their balcony garden, can easily prioritize quality over quantity within their plant selection. 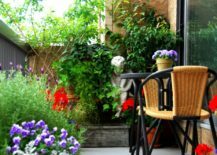 Choose the plants that capture attention but don’t take over the whole space! 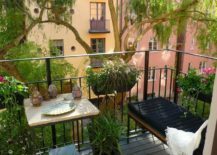 A small balcony that has beautiful green plants all around it and a cute table set for two in the center is an adorable place to hang out and a true paradise for anyone who wishes to enjoy a blooming green garden while living in an urban apartment!